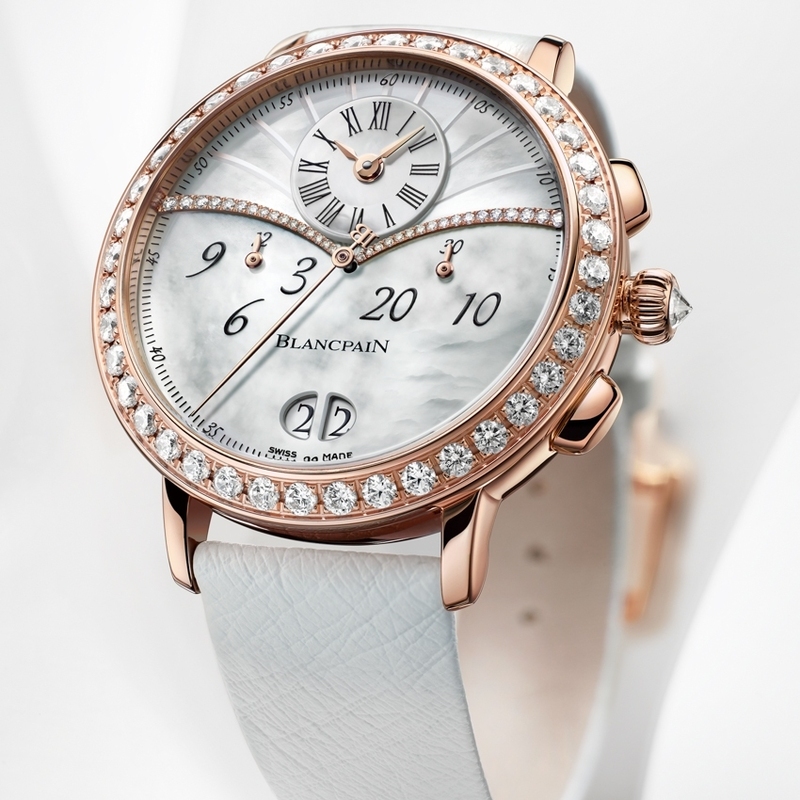 Established in 1735, Blancpain is the oldest watch manufacture in the world, renowned as much for its superlative watches, all created in-house, as for its calibres – 26 innovations over the past seven years. The new Chronographe Grande Date is no exception to this tradition. 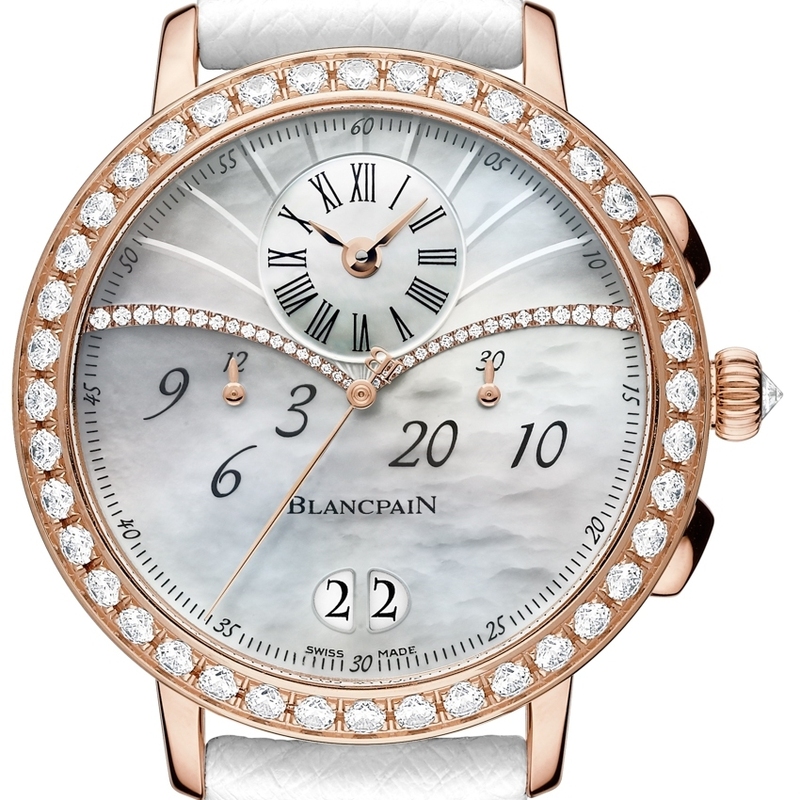 From the very first glance, the shimmering mother-of-pearl dial reveals two waves of 17 variously-sized diamonds rippling out from the centre. At 12 o'clock, the offset hour and minute display with Roman numerals on a mother-of-pearl dial creates a dynamic counterpoint to the Arabic numerals on the chronograph counters. Twin apertures at 6 o'clock frame the double-disc large date display. 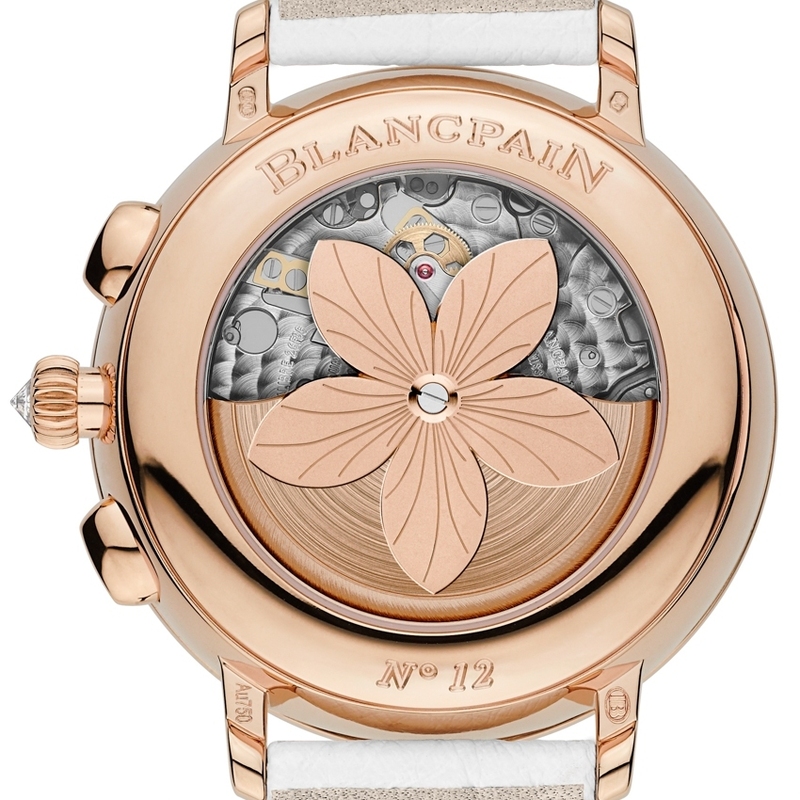 The red gold case with diamond-set bezel contains the Blancpain 26F8G calibre with its petal-shaped oscillating weight, visible through the sapphire crystal back.